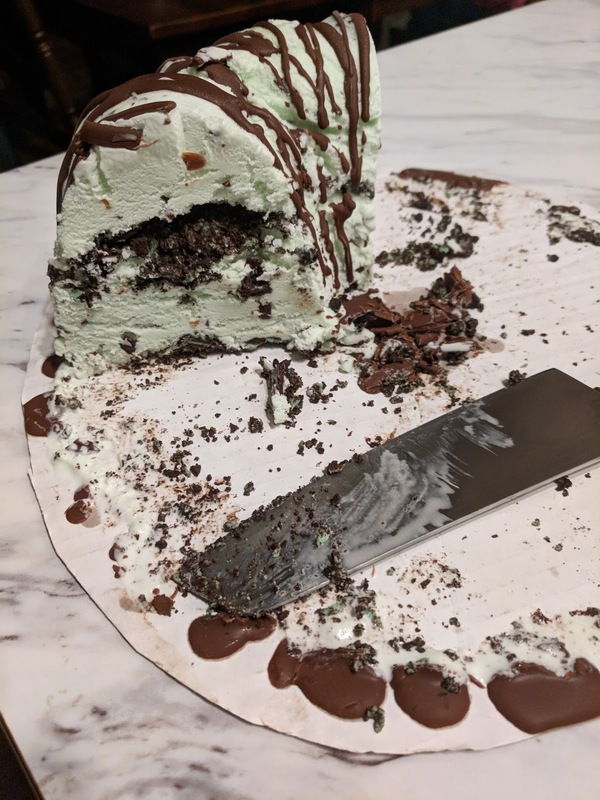 My kids love ice cream cake! 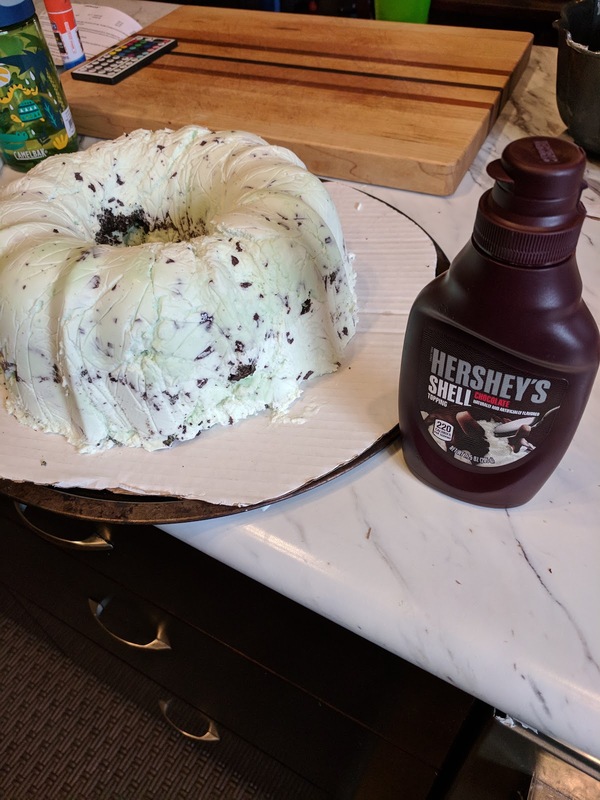 I was shocked to see that it had refrozen into a perfect ice cream cake! 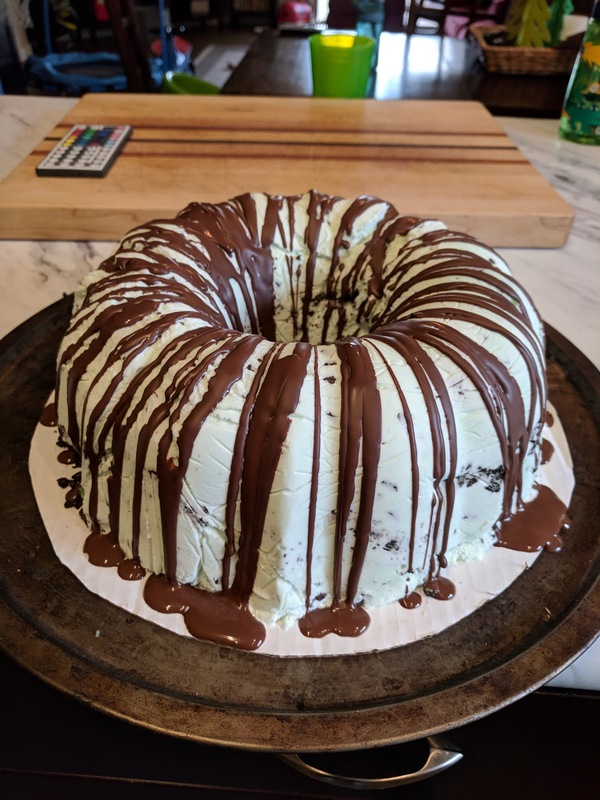 A home-made ice cream cake! Sky thought it was perfect and it tasted great. This is all that was left after the party and the kids finished it off pretty quickly the next day. You can see the crunchy layers in the cross section. 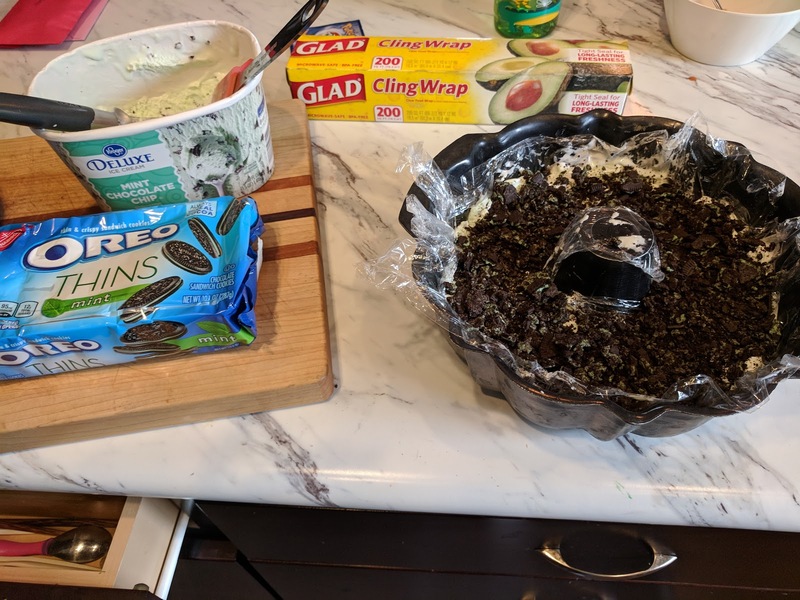 Any flavor of ice cream and any complementary kind of cookie could be used to make the cake. 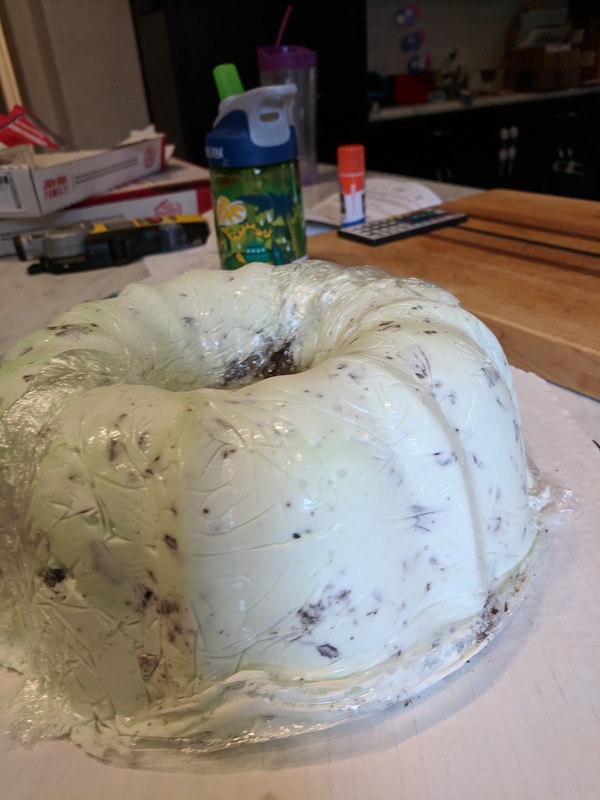 I have a feeling this cake is going to be requested at a lot more birthday parties around here!